response from property - Apr 18, 2019 Thank you for your review. 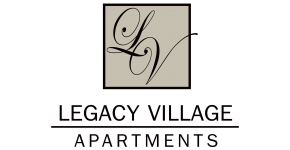 We are glad to have you here at Legacy Village Apartments! Peacefulsubmitted by Jedidiah S. - Mar 13, 2019 |Recommended: YesThe only issue I have is parking. I work 12-14 hour days. So when I come home There are never any spots to park in front of my building. I normally have to park down the street or across the street in another buildings parking lot. response from property - Mar 20, 2019 Thanks so much for the five star rating! We really appreciate your feedback about the parking. response from property - Mar 20, 2019 Glad you are enjoying living at Legacy Village! Rating of propertysubmitted by Sandip K. - Dec 31, 2018 |Recommended: YesStaffs are awesome and very spacious property and good for Lowes employee and contractors. response from property - Mar 20, 2019 We are so happy that you are enjoying your stay at Legacy Village. Don't you love the fact that you can walk to Lowe's Corporate if you wanted to! response from property - Mar 25, 2019 Hey Tracy, thank you so much for your great review! We enjoy living heresubmitted by Jennsine E. - Dec 01, 2018 |Recommended: YesWe enjoy living in this apartment complex. We are not into apartment complex's and it was not a first choice for us, but now having lived here we really like it. People are friendly, staff is incredible, work orders get fixed promptly. They make it a community with different events throughout the month and communication is great. Definitely would recommend living here to anyone seeking an apartment. response from property - Mar 25, 2019 Thank you so much for your sweet words. We are so glad we were able to change your mind about apartment living. response from property - Mar 25, 2019 Thank you Joshua for your wonderful review! We are so happy you love living in our resort-like atmosphere! Pleasant Communitysubmitted by Laura C. - Nov 05, 2018 |Recommended: YesWe really like Legacy Village. It's a very pleasant place to live. The grounds and amenities are great and the management is fantastic. Our only complaint is the noise level. We can hear everything that goes on next door and outside. response from property - Mar 25, 2019 Thank you so much for your feedback. We are so happy that you are enjoying living here at Legacy Village. If there is anything we can do regarding your concerns, please do not hesitate to come into the office to speak with us. I enjoy living here.submitted by Sherri S. - Sep 01, 2018 |Recommended: YesQuiet, clean and Staff is very friendly. response from property - Mar 25, 2019 Thanks so much! Our team at Legacy Village truly appreciates your 5-star review of our community. It is exciting to hear that you are loving your stay with us! response from property - Mar 25, 2019 Thank you Beth! We do agree that Legacy Village in Mooresville is our very own Hidden Gem. response from property - Mar 25, 2019 Thank You Kim, for this great response!! We love working here as much as you love living here! 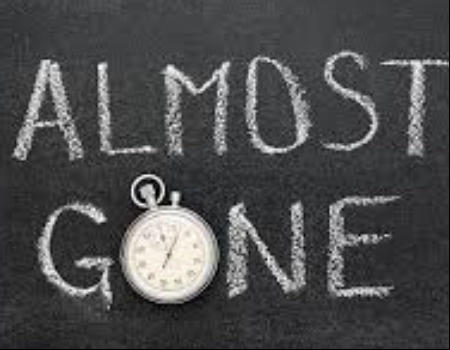 If we can assist you in any way going forward, please do not hesitate to reach out to us! Comfortable and affordablesubmitted by Mitchell Y. - Jan 27, 2018 |Recommended: YesSince I work in Mooresville, the location is super conveniant, but it also isn't too far away from downtown Charlotte. You get much more than you are paying for at this place. The apartments and the complex are brand new. Between the pool, laundry room, gym, and lounge areas, the facilities are more than I would have expected. And probably best of all, the employees who work here are friendly and helpful as can be. response from property - Mar 25, 2019 Why thank you, Mitchell! Our team couldn't be happier to hear that you will be joining our Legacy Village community! If you need any assistance during your move-in process, please do not hesitate to come by our office. So far my experience has been greatsubmitted by Christopher R. - Dec 15, 2017 |Recommended: YesI would recommend it. response from property - Mar 25, 2019 Thank you Karen for your wonderful review. We are so happy that you are enjoying your stay with us here at Legacy Village!! response from property - Mar 25, 2019 Thank you Samantha! We loved having you as a resident as well! !